Sciatica is the best-known type of radiculopathy, but the same type of radiating pain can occur in your arms when the pinched nerve is located in your neck. 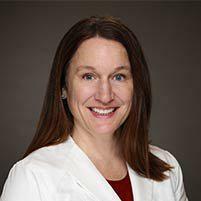 Dr. Carrie Shulman at The Florida Center for Minimally Invasive Neurosurgery has the expertise to help you find pain relief, using conservative options, as well as minimally invasive surgery. To get treatment for radiculopathy, call their office in Clearwater, Tampa Bay, Florida, or use online booking to schedule an appointment. Radiculopathy refers to pain caused by compression, inflammation, or injury to the nerves in your spine. It’s commonly called a pinched nerve, because it frequently develops when changes in your spine compress the nerves. When you have radiculopathy, the pain radiates away from the spine, following the course of the affected nerve. What spine conditions cause radiculopathy? Radiculopathy may develop in your neck, but it’s more common in your lower back because carrying your body weight leads to degenerative changes. Sciatica is a well-known form of radiculopathy that develops in your lower back when the sciatic nerve becomes pinched as it leaves the base of your spine. The sciatic nerve travels through your buttocks on each side and down your leg to your foot. Since you have two nerves, one for each leg, you can develop sciatica on either side, but usually only on one side at a time. The symptoms of sciatica include lower back pain, as well as pain felt anywhere along the nerve. The pain that shoots down your leg may be mild, excruciating, sharp, or burning. You can also develop numbness, tingling, or muscle weakness in the affected leg or foot. If you have cervical radiculopathy, the pain starts in your neck and travels down your arm. You may also develop the same numbness, tingling, or weakness in your arms. For most patients, treatment begins with nonsurgical therapies, then if your symptoms don’t improve after about six to eight weeks, surgery may be considered. Your initial treatment includes options such as physical therapy, medications, and spinal injections to significantly reduce inflammation and pain. Surgical interventions include laminectomy and discectomy. A laminectomy is surgery to remove a small piece of bone pressing on the nerve, whether it’s a bone spur or a small piece of vertebra. During a discectomy, all or part of a disc is removed. When the entire disc is removed, you’ll need a disc replacement or spinal fusion. Dr. Shulman may perform these procedures using minimally invasive surgery, which uses small incisions. This type of surgery leaves minimal scarring, reduces postoperative pain, and promotes quicker healing.